The Assam Government on Wednesday issued a notification declaring the entire State as “a disturbed area” and extending the Armed Forces (Special Powers) Act (AFSPA) for six more months as a precautionary measure to maintain order during the ongoing National Register of Citizens (NRC) update process. The final NRC is likely to be published by the end of the year. A report appearing in the The Times of India stated that “as per powers conferred under Section 3 of the Armed Forces (Special Powers) Act, 1958, the Governor of Assam has declared the entire State of Assam as ‘disturbed area’ up to six months beyond August 28, 2018, unless withdrawn earlier,” the notification said. 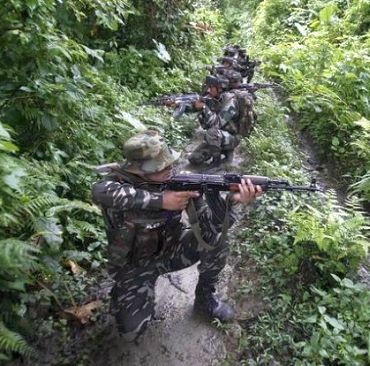 In September last year, the Centre delegated to Assam and Manipur power to impose or withdraw AFSPA, which gives special powers to the Army engaged in counter-insurgency operations. The Government’s decision to retain AFSPA comes a day after the Supreme Court asked for a sample reverification of 10 per cent of the names included in the NRC and also sought a report from the NRC authorities on the ramifications of allowing the Centre’s modalities for disposal of claims by persons excluded in the final draft.